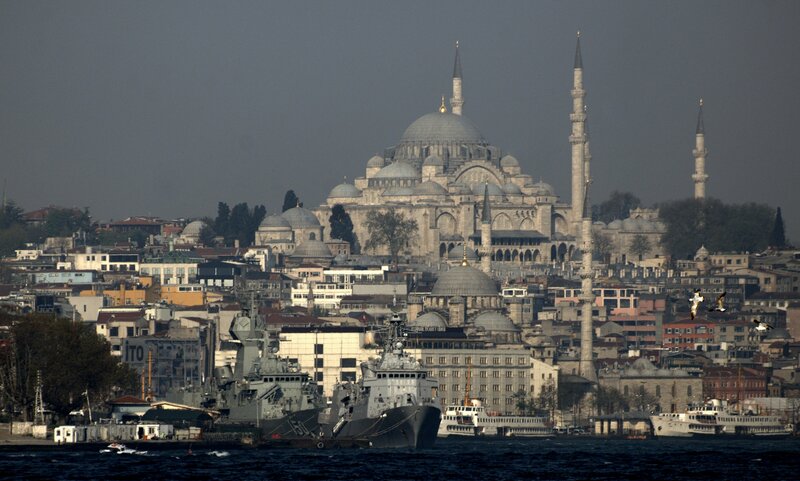 After attending the Dawn Service on 25 April 2015 in Anzac Cove, Gallipoli the HMAS Anzac and HMNZS Te Kaha arrived in Istanbul for a port visit. During the cruise from Çanakale to İstanbul, HMAS Anzac stopped at the point where the Australian submarine HMAS AE-2 was sunk by Ottoman gunboat Sultanhisar. As the chivalry was still alive then, Captain Rıza, the commander of the Ottoman gunboat allowed Australians to scuttle their stricken submarine and rescued all crew.